Animal traceability is gaining governmental support in two key US beef markets, which may bolster reinvigoration of the National Animal Identification System in the United States. Though NAIS remains a despised voluntary program today, we may see its full implementation under S 510, the Food Safety Modernization Act. Linn Cohen-Cole wrote a scathing critique of the FSMA in HR 2749: Totalitarian Control of the Food Supply. She believes that S 510 will mark “an end to US sovereignty over food.” She (and many others) perceive it as part of a World Trade Organization plan to grant corporations control over all food. S 510 will be raised in the Senate in January. The top markets for US beef are Mexico, Canada, Japan and South Korea, accounting for 90% of total beef exports. Mexico and Canada already implement animal tracing. 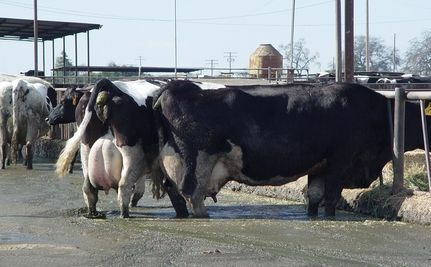 In 2004, Japan and Korea drastically reduced US beef imports after a series of contamination events, including the discovery of bovine spongiform encephalopathy (BSE, or mad cow disease). In 2003, the US sold nearly $2 billion in beef to both markets; in 2004 that figure dropped to $33 million. Japanese reluctance to buy cattle that was fed genetically modified feed and a steady stream of drugs has also created a booming organic market. By 2008, US beef exports to Japan rose to $439 million. Consumer confidence in more strictly regulated labeling has improved the Japanese market for US beef. That confidence may be misplaced, as Jim Hightower points out in Think your food’s organic? Think again. By 2006, sixty-five nations, including South Korea, implemented full or partial bans on importing U.S. beef products, citing fears that testing for BSE lack rigor, per a USA Today opinion piece that condemns the USDA ban on private testing for BSE. When South Korea president, Lee Myung-bak, tried to reopen the US beef market in 2008, over 100,000 protesters took to the streets over several days, causing the resignation of his entire cabinet. [See this Al Jazeera YouTube.] 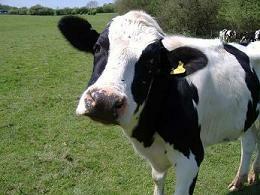 An interim agreement was reached allowing the import of cattle less than 30 months old. Younger cattle are believed to be less susceptible to BSE. But Does Animal Tracing Protect the Food Supply? Governments seem focused on animal tracing as the magic bullet to protect the food supply. In Japan – where reputation is more important than wealth – consumers trust government-regulated tracing and labeling schemes that identify the farm-to-fork path an animal takes. This may force the US to adopt tracing, in order to re-open its market. But animal tracing does not address food contamination caused by concentrated animal feeding operations (CAFOs), where thousands of animals are crammed into tiny stalls, barely able to move. Because of their close quarters, lack of exercise and sunlight, and an unnatural diet of genetically modified grains, diseases spread like wildfire. To counter this, factory farms give the animals heavy doses of antibiotics, creating super-virulent strains of “super bugs” that are antibiotic resistant. Animal tracing also does not address the unsanitary conditions of meat processing plants, which have been deregulated under HACCP – the Hazard Analysis Critical Control Points program that removes independent inspections. Under HACCP, food processing plants monitor themselves. In September, the Agricultural Appropriations conference committee cut funding by more than 60% for NAIS, a reduction of nearly two-thirds from the $14.6 million requested by the U.S. Department of Agriculture. This may be in response to the massive outcry by ranchers during the NAIS Listening Sessions earlier this year. Ranchers cited cost, privacy, and an unfair advantage to factory farms, which are required to tag only one out of 100,000 head. Improve enforcement of existing laws and inspections of large slaughterhouses and food processing facilities, including unannounced spot inspections at those large facilities. Instead of animal tracing, the US food supply would be better protected by banning concentrated animal feeding operations that allow disease to spread like wildfire. A ban on CAFOs would vastly improve the health of animals, and protect the environment from all the drug-laden manure produced in large operations. Food safety can also be achieved by encouraging the spread and diversification of small farms. Promotion of local, organic food would invigorate local economies, improve the environment and increase public health. S 510 threatens small farms, with its over-reaching attempt at control of the food supply.